State renewable portfolio standards have long been the top driver of U.S. utility-scale solar and wind energy growth -- until now. This year, for the first time ever, more than half of new utility-scale solar capacity will be brought on-line outside of state mandates. In fact, this year’s non-RPS solar capacity will exceed the total utility-scale solar installed in any previous year. But that doesn’t mean policy is becoming irrelevant. It’s just evolving. For instance, in December 2015, Congress passed a three-year extension of the 30 percent federal Investment Tax Credit for solar, as well as a one-year extension of the Production Tax Credit for wind. Both of these government incentives are slated to ramp down in subsequent years -- but for now, developers are hurrying to cash in on peak incentive levels. The ITC extension has sparked a sharp increase in several types of non-RPS utility-scale solar procurement -- a rush that’s expected to last until 2020, as utilities and other organizations seek to lock in low energy costs through long-term power-purchase agreements. Along with the continuing overall decline in the price of solar, the ITC extension has put prices for power-purchase agreements in the range of $30 to $60 per megawatt-hour -- a substantial hedge against long-term uncertainty in natural-gas prices. 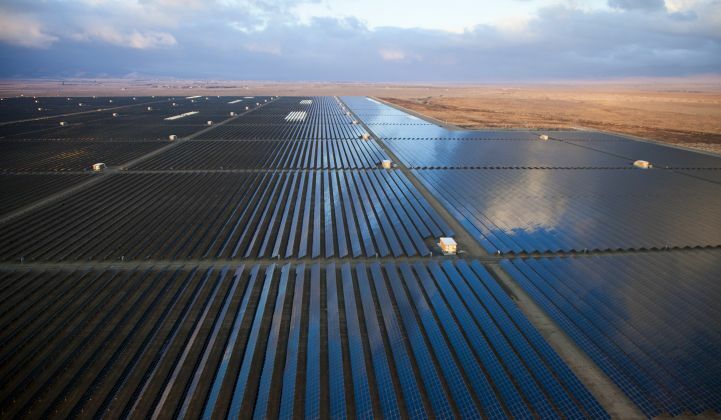 A new Greentech Media report, The Next Wave of U.S Utility Solar Procurement Beyond the RPS, details how this incentive-driven economic advantage is leading more utilities to procure and own solar facilities well beyond state mandates, especially among smaller municipal utilities and cooperatives. It’s also enabling more solar projects to become qualifying facilities under the Public Utility Regulatory Policies Act (PURPA). But utilities aren’t the only market for utility-scale solar. Retail procurement is also growing sharply as large corporations and organizations procure solar resources for their own direct use, to save money, enhance energy security and resilience, and hedge against rising energy delivery charges. Some companies, like First Solar, have experimented with merchant solar -- but are finding it economically difficult in an era of cheap natural gas. Colin Smith, a solar analyst for Greentech Media and author of the Next Wave report, noted that favorable economics are dramatically expanding the geographic diversity of utility-scale solar. In 2016, 11 percent of new solar capacity in the pipeline will come from retail procurement. Favorable economics -- not necessarily sustainability efforts -- are the driving force behind the sharp growth in long-term retail contracts. “Sustainability initiatives do help, but usually these deals are primarily being driven by sourcing needs, price stability and better returns,” said Smith. Also, some states offer their own tax breaks and other incentives that are driving solar outside of an RPS. For example, Smith pointed to North Carolina, which has become the largest PURPA market, now accounting for 60 percent of PURPA projects nationwide. “Leveraging the generous 35 percent state tax credit made these projects easily financeable,” said Smith. Late last year, North Carolina lawmakers extended the state’s solar tax credit for one final year, through the end of 2016. Several developers are now quickly building very large projects within the state. After the credit expires, it’s expected that many solar developers will expand to other adjacent markets. How might all this solar growth affect U.S. wholesale electricity markets? “New situations like adding lots of solar are challenging how electricity markets function,” said Smith. “Long term, we could see some shifts in how electricity is sold." Cutting load growth and revenues could eventually catalyze a restructuring of wholesale markets, which could shift how retail utilities structure rates or bundle services. “Whatever happens, it’s certainly going to be exciting,” said Smith.